When Sir Bradley Wiggins, in 2012, became the first British rider to win the Tour de France, road cycle racing became a high profile sport. Since then Chris Froome has won the race three times! No doubt, following the forth-coming Olympics, the British cycling team that includes road cyclists, will come home with well-deserved medals. 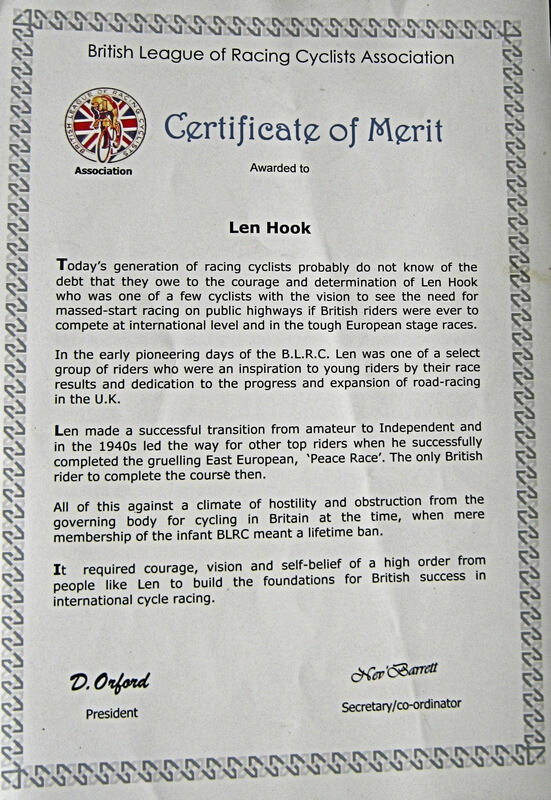 Yet road cycle racing was once outlawed by the cycle racing fraternity and one of the key pioneers, Len Hook, who lived in Athol Terrace, Dover! Born in Hendon in 1921, at the age of 15 Len joined the Ealing Manor Cycling Club where he rode in countless time trials, hill climbs and track events. At the outbreak of World War II (1939-1945), due to an old eye injury, he was rejected by the RAF for navigation but accepted as an apprentice toolmaker. In this career he became highly proficient and was a renowned toolmaker-inventor. At that time, the National Cyclist Union (NCU), founded in 1878, dominated British cycle racing and one of its rules was that only time trials could be held on roads. These had to start very early in the morning and competitors had to wear ‘inconspicuous clothing,’ typically, all-over black jackets and tights. There were some specially constructed outdoor grass tracks but these tended to be located in large cites. For would be contenders who lived any distance away, this made it difficult to practice or compete. Len took part and the race was a great success. However, the NCU loudly made their anger felt and banned any more such races. This did not go down well, and on 14 November 1942, twelve brave men, led by Percy Stallard and including Len Hook, formed the British League of Racing Cyclists (BLRC). Their remit was to promote mass start road cycle racing, as we know it today. The immediate reaction of the NCU was to expel and blacklist all of them from cycle racing. Over the next few years, the twelve and anyone who dared to join the BLRC, or take part in any of their races, received the same treatment. They were also subjected to abuse and marginalised by the cycle racing fraternity and some national newspapers. 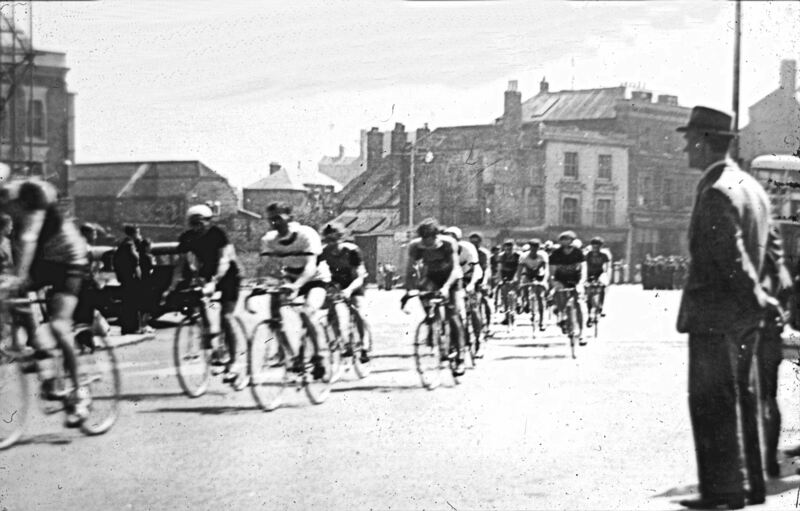 Albeit, in 1943 BLRC promoted the first British national road race. The following year they introduced the Southern Grand Prix, held in Kent. 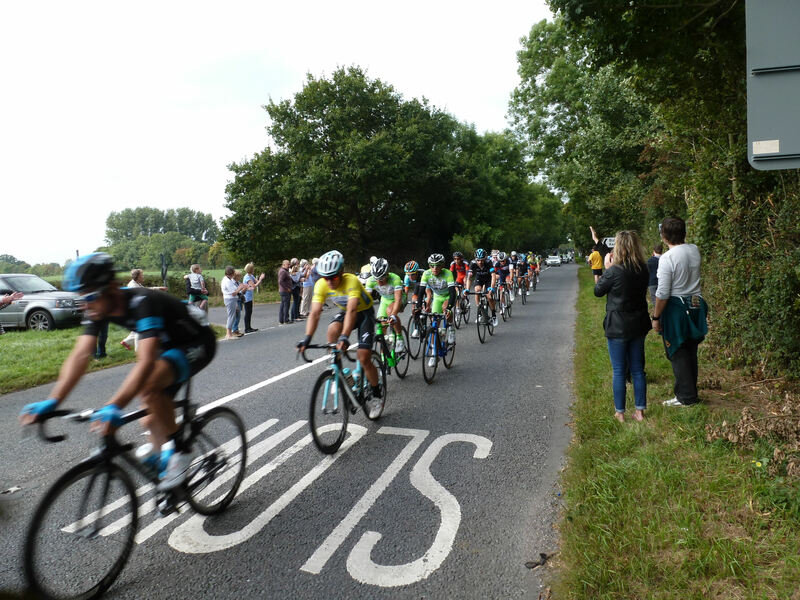 This was a three-day staged race around Tonbridge and was backed by the Government’s Ministry of Information. At the time, the German propaganda machine were broadcasting that the people of Southern England ‘were cowering in their shelters.’ The race was seen as a way of dispelling such myths. Len was one of the main organisers of the race and also took part, coming second on a borrowed shopping bike! He had actually started out on his own bike but a group from the NCU threw tintacks onto the road puncturing Len’s tyres. This was typical of the tactics employed by the NCU at that time. Albeit, the event was a great success and proceeds went to the Red Cross. The race also received national publicity from Picture Post (1938-1957) and other newspapers that had previously ostracised the BLCR followed suit! In 1945, the BLRC promoted the Brighton to Glasgow Victory Cycle Marathon, a staged road race and precursor to the Tour of Britain. Again, it was a great success with many cyclists who were not members of the BLRC taking part. The police were out in force controlling traffic and onlookers to ensure as few mishaps as possible. So pleased were the BLRC with this level of co-operation that they delivered an illuminated address to Buckingham Palace during the race! Nonetheless, all the cyclists who took part were immediately expelled by the NCU. Len won one of the stages but during the third day, he crashed and landed in a gutter. The driver of one of the cyclist-following-car-official stopped to give assistance. She was Betty Durrant, a keen cyclist. They married in 1946 and were together for 64-years. They had three sons and a daughter with one of sons, Simon, becoming a professional cyclist winning many top classics. Besides organising races in Britain, the BLRC also organised British representative teams to race in other countries including the world’s international amateur Peace Race from Warsaw to Prague via Berlin – or as it was known during the years of the Cold War (1947-1991) the ‘Tour de France of the East’. The race was originally set up to relieve tensions between Central European Countries following World War II and the logo was a white Dove representing peace. 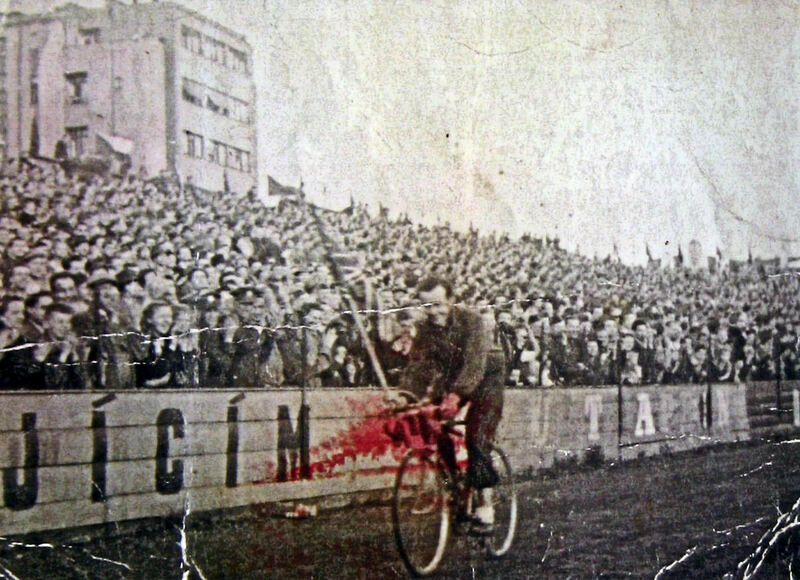 As professional cycling was forbidden in Communist countries, the race enabled top-flight cyclists from the Eastern Block to compete against guest teams from non-communist countries. In 1948, Britain sent six competitors one of whom was Len. As the race progressed, due to the bad road surfaces, five of the British team retired and by the last stage, Len’s shoes were badly worn and he was suffering from a poisoned foot. Nonetheless, against all odds and in 48th position, he finished! As Len crossed the finishing line, the spectators in the crowded stadium erupted! They stood up, cheering and applauding and Len was encouraged by the officials to do a lap honour. This he did carrying the Union Jack, as can be seen in the photograph above, and the crowd cheered even louder! Len was then asked to give a speech, which he did through his translator. Besides NCU and bad road surfaces the BLRC organiser’s faced another problem in the UK – the weather. In September 1950, the gales that hit Britain were severe with an average wind speed of 50 miles per hours. Cyclists taking part in the BLRC national hill climb championship held at Winnatt’s Gorge, Castle Town, Derbyshire were blown off their machines as many as six times! The winner was Tony Murray, who managed only to be blown off once but of the 28 starters, only 18 finished the race. 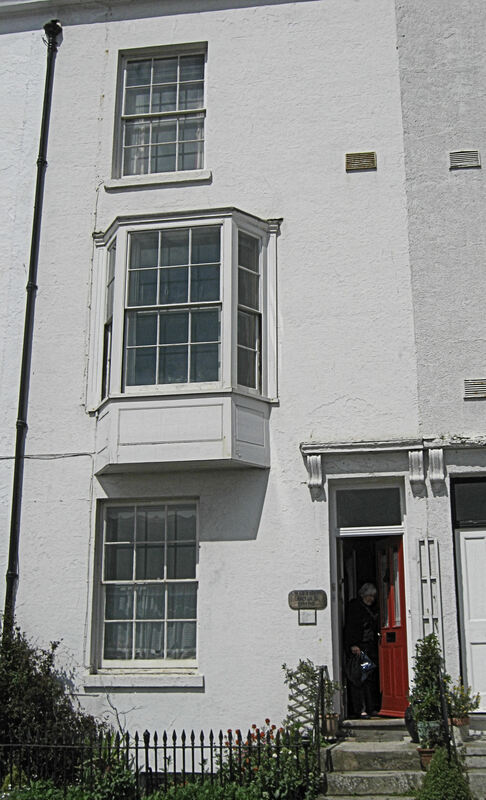 Nonetheless, BLRC carried on and having successfully organised the annual multi-staged Victory Road race from Brighton to Glasgow for six years, in 1951, they changed the race name to the Tour of Britain! This was a 1,400-mile cycle race from Brighton to Glasgow, which was won by (John) Ian Steel and the following year he again won. Although the Communist-bloc riders tended to dominate the international Peace Race, Britain continued to send competitors, under the management of Len. In 1952, Ian Steel was the first Briton to win the Peace Race and the first to win any major international road cycle event. The BLRC team also won the team prize making this the first time that one nation won both. With the fall of the Eastern Bloc, the name of the Peace Race lost its significance but in 2012, Alan Buttler organised a re-run of the 1955 race as a tribute to his late father, Alf, who was the chief mechanic of the British cycling team. Over the following years, Len became heavily involved in international cycling politics as well as the manager of the BLRC team taking part in major races on the Continent. In 1957, in the latter capacity, he took a team to the Moscow World Youth Games. At the same time he was waging an ongoing battle on behalf of the vulnerable cyclists on British roads. He particularly emphasised that in France, drivers gave cyclists a wide berth, but not so in the UK. 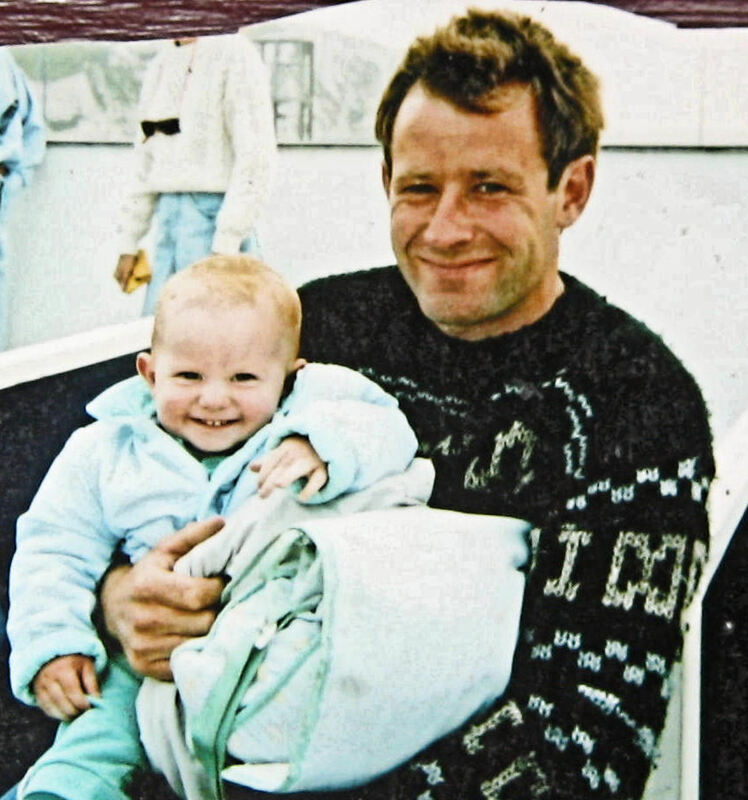 Tragically, Simon, Len’s son, was killed in Folkestone in November 1995, on his way home from work while riding his bike. Simon, an international racing cyclist, he is remembered at France’s national cycling chapel – Notre Dame des Cyclists, Bastde d’Armagnac, South West France. As the 1950s decade progressed and possibly, due to the influence of the NCU, the British police were not quite as favourable towards road race cycling as they had previously been. In May 1954, Wingham Magistrates Court fined £5 the international road racing cyclist from Cambridge, Fred Krebs (1931-1995). He was one of 70 riders taking part in the BLRC Dover to London Road race and, Krebs, along with other cyclists had reached 48 miles-an-hour on the A2 Dover-Canterbury road! The police considered this dangerous and Krebs was found guilt of ‘riding to the common danger of passengers!’ Major Sir John Ferguson (1891-1975) the Chief Constable of Kent, at the time, was most perturbed by the conduct of the cyclists and warned that the annual race would cease – and it did. Later in 1954, stringent legislation was introduced by the British Government to control road cycle racing. Although they recognised that there had not been a serious accident or major road congestion, they feared that there was likelihood if restrictive legislation was not imposed. The number of events each year was limited to one circuit such as the Tour of Britain and an agreed number of local races the maximum number of which was to be verified by the Home Office and the Department of Transport. Races were to begin and end before 09.00hrs, should not be less than fifteen miles long and avoid all major roads and right hand turns. The following year, 1955, five Russian cyclists at the invitation of Len, on behalf of the BLRC, competed against British riders in the Tour of Britain. For this and all his work from the outset of the BLRC, Len was awarded the Certificate of Merit. Betty Hook, his widow, is rightly enormously proud of the accolade. After some sixteen years of bickering over the control of road cycle racing, in October 1958, by fifty-eight votes to seven, the BLRC agreed to merge with NCU and form the British Cycling Federation (BCF). The merger came into force on 1 January 1959 with the BCF becoming the ruling body for all British cycle sport, including massed start road racing. The new federation was formed as a limited liability company limited by guarantee. The Milk Marketing Board sponsored the Tour of Britain in 1958, which was won by Richard Durlacher of Austria. The following year and as a result of the amalgamation, the event was renamed the Milk Race after the main sponsor. Bill Bradley (1933-1997) of Britain, who also won the following year, won this. For the next 35-years, the Milk Race was an annual event but following the Agricultural Act of 1993, the Milk Marketing Board ceased to exist. 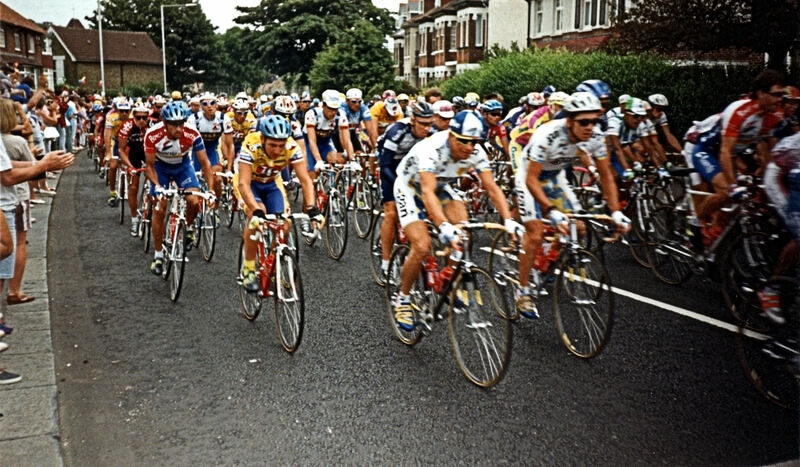 Professional Tour of Britain road cycle races were organised by Kellogg’s from 1987 to 1994. In the latter year, the race the kent stage started in Dover and people turned out in their thousands to watch cyclists flash by. Prudential sponsored professional Tour of Britain races in 1998 and 1999. In 2004, the Tour of Britain was reintroduced as a 5-stage race increasing to 8 stages in 2008. It is now part of the Union Cyclist International European Circuit. In 2012, it was won by Britain’s Jonathan Tiernan-Locke, 2013 by Sir Bradley Wiggins and in 2014 Dylan van Baarle. 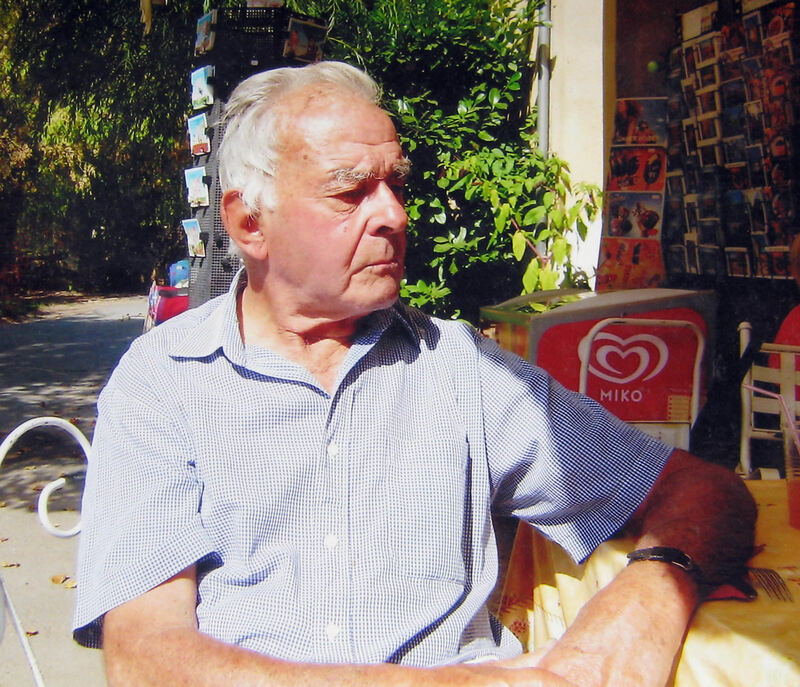 Len continued to be a key figure in the road cycle racing world and was riding his bike until two weeks before he died on 12 March 2010 aged 89-years at his home in Athol Terrace. It is thanks to pioneers such a Dovorian, Len Hook that road cycle racing is now a top class sport in which Britain excels. This entry was posted in East Cliff and Athol Terrace, Hook Len - Pioneer of Road Cycle Racing, Hook Len - Pioneer of Road Cycle Racing, Hook Len - Pioneer of Road Cycle Racing, People, Sports. Bookmark the permalink.